Fly higher, see farther and do more with a durable, low-weight hybrid solution from Gore. Our cables give you more payload options, allow drones to fly higher, and expand your line of sight or coverage. Built with unique high-strength and weather-proof materials, they last longer in challenging conditions. Lighter weight, proven durability, and longer cables. Receive a sample from our selection of tethered drone cables for prototyping and evaluation from WireMasters. 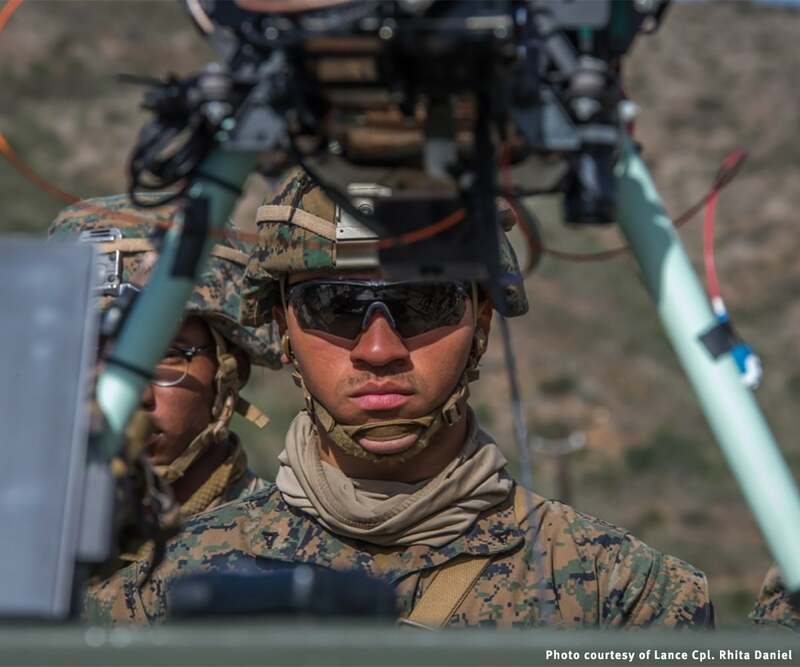 Today's military and commercial tethered drones use cable materials that create issues during operation. Traditional materials used for durability tend to be bulky and heavy often weighing drones down. Alternative designs use lighter weight materials that absorb a lot of moisture and don’t protect enough against harsh operating conditions. These issues can considerably limit your payload options and reduce your drone’s capabilities. Don't Let Your Tether Hold You Down! 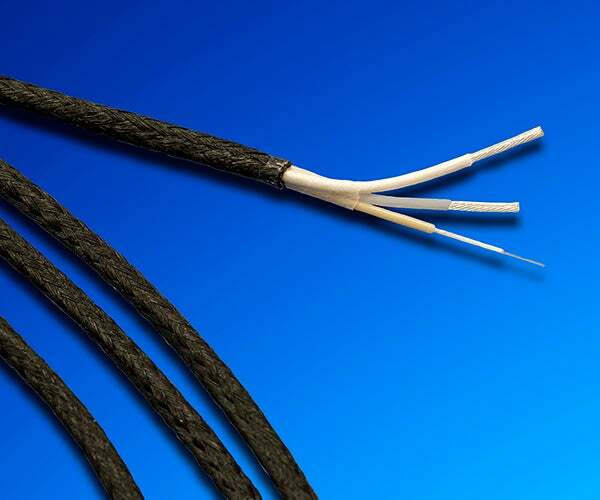 GORE Tethered Drone Cables are a game-changer for the commercial and military industries. 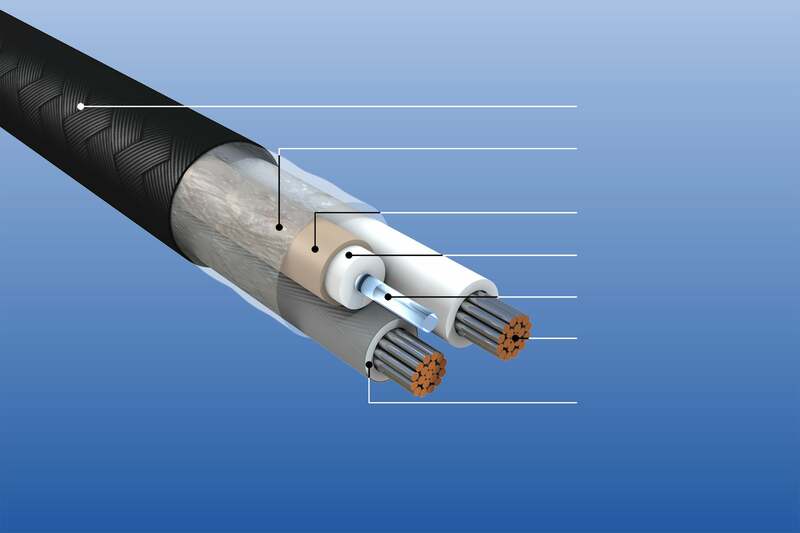 We strike a balance by blending power and fiber optic cables with rugged materials in a small-scale hybrid design. Our tethered drone cables are 20% smaller than standard cables built with nylon, so they take up less space inside the Tether Management System (TMS), which means more design options and extra payload during operation. We also tested our unique fiber braid cable against a standard nylon cable to see how both performed when immersed in harsh fluids. The nylon cable showed more than 7.5% weight pickup in salt water. But, our cable showed less than 1% weight pickup in salt water, which is more than 90% less weight pickup than the nylon cable! Testing proved that our tethered drone cable provided greater weight stability further increasing your design/payload options and operating height. Conventional lightweight cables can be vulnerable to tough surroundings because they lack adequate protection, causing them to wear out long before the drone. Also, drones operating at high power can be susceptible to failure if materials are not compatible with high temperatures. But not our low-weight tethered drone cables! They’re built with proven high-strength and weather-proof materials that deliver continuous high-voltage power, secure signals, and unfailing data transmission in difficult environments. Our cables are designed specifically to withstand crushing, abrasion, repeated reeling, fluctuating temperatures, humidity, rain, snow, and tough terrain. 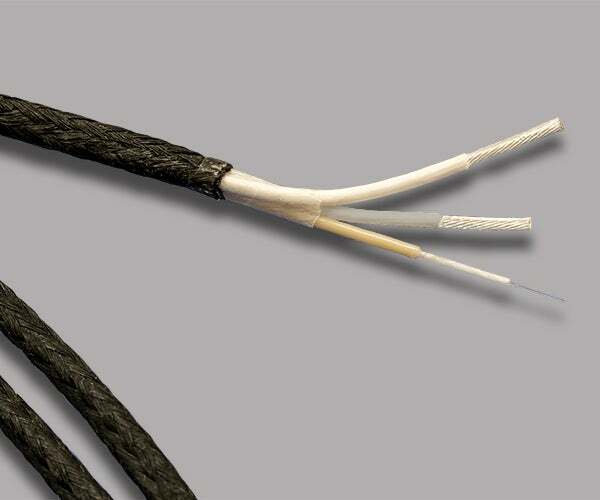 In fact, our single-mode fiber optic cable meets ARINC 802-2 requirements and is proven to provide a high level of crush resistance with low insertion loss — ensuring a secure data link from the drone to the ground support equipment (GSE). Not only that, our patent-pending fiber braid cable jacket is low friction and resists abrasion induced during operation or by the TMS. This low-friction jacket also makes it easier to handle our cables compared to nylon cables. Ultimately, GORE Tethered Drone Cables maximize TMS availability and drone capability, increase design options/payload, enable drones to fly higher, expand line of sight/coverage, and operate over the drone’s lifetime. High-Strength Construction of GORE Tethered Drone Cables. These values demonstrate the electrical, mechanical and environmental performance of GORE Tethered Drone Cables. Download the data sheet to view product specifications, like diameter, weight, minimum bend radius, and conductor DC resistance. a Based on a NEMA HP3 wire. b Testing based on size 22 AWG. c Attenuation may increase above 85°C. Watch these videos and more on YouTube of Gore engineers demonstrating the features and benefits of GORE Tethered Drone Cables.